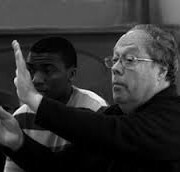 This International conducting course has 13 spaces available, and unlimited viewing only participant spaces. The world famous London Mozart Players is one of the UK’s longest standing Chamber Orchestras containing the highest calibre musicians London has to offer. Each of its members play in all of the other London and UK orchestras not to mention internationally, so this is an ideal opportunity for new conductors to enhance their reputations not only in London but also throughout the UK and Internationally. The course will comprise of 3 days of workshop allowing 13 students to have 25 minutes of podium time per day. On the 4th day there will be a short top and tail rehearsal for each candidate before giving a public performance showcasing what they have learnt during the course. Maestro Panula and the orchestra will agree the performance repertoire for this concert. 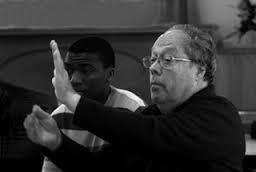 Each evening before the concert day Maestro Panula will review the students work that day. A vast amount of repertoire is available including works by Mozart, Haydn, Mendelssohn, Rossini, Tchaikovsky, Delius and Fauré and many more. A full list a repertoire can be forwarded and every effort will be made to accommodate the candidates’ choices once all the course places have been allocated. Feed back and constructive comments will also be given from the orchestra members. FOUR inexpensive rooms are available for accommodation with the possibility of sharing, these will be on a first come first served basis. As a bonus, one or two exceptionally gifted conductors may be allowed to post material they record online, but only by consent of the orchestra members. No official recording will be made but candidates are welcome to bring their own video cameras / recording devices. Please contact Stacey Watton if you would like to participate. You will need to send a covering letter including your CV, Biography and Photo along with video footage of you conducting in performance and rehearsal. Please book early to avoid disappointment.